Drink in the week’s most important stories — all in one place. In the time, it takes to drink your first cup of coffee, we’ll help you get caught up. University of Nebraska-Lincoln announced their Homecoming theme: “Bringing the Tradition Home”. Anyone else seeing Scott Frost’s actual homecoming to state as some inspiration here? Red Delicious and Pink Lady and Honeycrisp, oh my! This year’s Applejack Festival, annually held in Nebraska City, celebrated its 50th anniversary last weekend. The festival is held to mark the start of the city’s apple harvest. The city received thousands of tourists this year to pick apples, taste wine, play games, attend parades and more. Nebraska will play a home game on Oct. 27 against Bethune-Cookman. You might know him as a MTV reality television star, but Paul Delvecchio has taken on a new role: celebrity DJ. DJ Pauly D brought his set to Lincoln’s Bourbon Theatre Wednesday night for a sold-out show. We’re sure there was some fist-pumping involved. Fun fact: before Pauly D was a member of “Jersey Shore,” he would DJ small venues in his hometown. To find out more about his journey, keep reading (Daily Nebraskan). The body of a former golfer for the University of Iowa, Celia Barquin Arozmena, was found Monday in a pond at Coldwater Golf Course. Barquin, a transfer student from Spain, was the 2018 Big 12 champion and the school’s Female Athlete of the Year. After an abandoned bag at the course was reported to the police, the body was found in a nearby pond. Police dogs tracked her scent to a tent where a homeless man, Collin Daniels Richards, was presiding. A 26-year-old woman fatally shot three individuals and wounded three more, before fatally shooting herself at the Rite Aid distribution center in Harford County, Maryland. The shooter was identified as Snochia Moseley of Baltimore County. Moseley, a temporary employee at the distribution center. She fatally shot herself in the head and was pronounced dead at a nearby hospital. 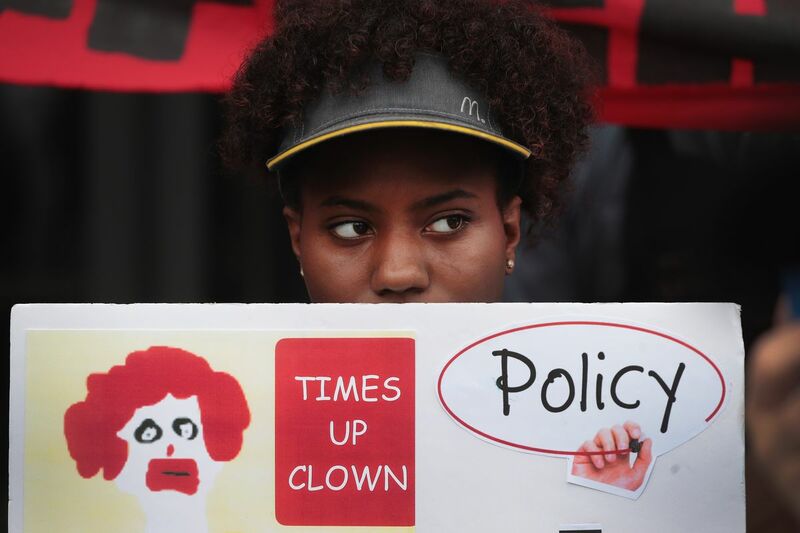 McDonalds workers in 10 cities went on strike Tuesday over sexual harassment issues within the company. The strike is a result of 10 sexual harassment complaints filed by employees in May. Employees say that the company ignored the complaints. Four Harvard Law students are asking the university to reconsider if Brett Kavanaugh is allowed back for the 2019 school year. Kavanaugh has been a law instructor at Harvard since 2009. “Unless a full and fair investigation is conducted, Harvard Law School cannot allow Kavanaugh to continue teaching its students,” the students wrote in a campus publication. The leaves are falling and air is chilling. It’s that time of year again. The United Nations General Assembly meets this week, as it annually does each fall. This year hot topics include climate change, refugees, weapons and gender equality. The meetings will take place in New York City and President Trump is expected to speak. The Los Angeles City Council unanimously voted to draft an ordinance that would ban all sales of fur within Los Angeles. This ban would make L.A. the largest city in the U.S. to support this issue. Celebration of Service, an annual event for honor UNL staff, will be held on on Tuesday.